Transitional metal pull by Richelieu. This pull consists of a square tube handle with rounded corners and a square flange at each end. Contemporary bow pull by Richelieu. The arch ends in an elegant flared base at each end. Easy to install for an instant and elegant upgrade to your furniture or cabinets. Add elegance and flair to your furniture and cabinetry with this Richelieu curved handle pull. Features a classic design with an eye-catching circular embellishment and a trendy finish. Gently arched classic bow pull with a flared base by Richelieu. An instant and elegant upgrade to your furniture or cabinets. 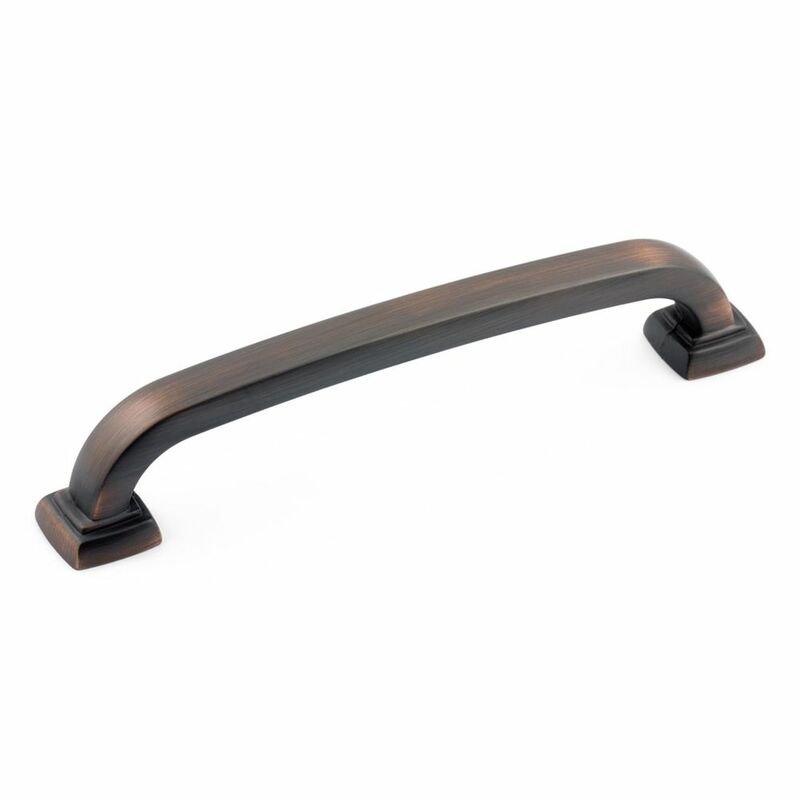 The Richelieu Hardware 3-3/4-inch Brushed Oil Rubbed Bronze Pull is made from rugged metal and features a gently sloping profile. Mounting screws are included. Transitional Metal Pull 3 3/4 in (96 mm) CtoC - Brushed Oil-Rubbed Bronze - Vaughan Collection Transitional metal pull by Richelieu. This pull consists of a square tube handle with rounded corners and a square flange at each end.